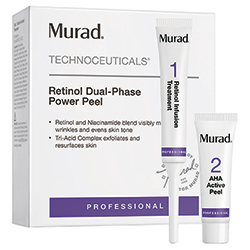 Intensive, dual-phased peel visibly minimizes lines and wrinkles, firms, evens skin tone, and boosts radiance to reveal more youthful looking skin. 10 single use units. 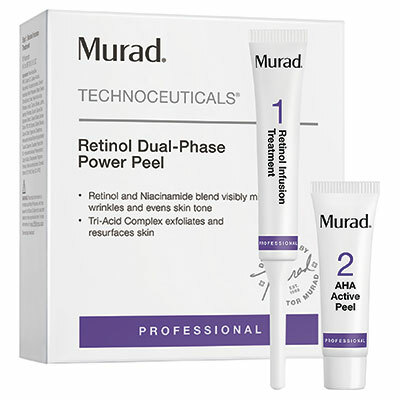 Includes: Retinol Infusion Treatment (3 mL), AHA Active Peel (6 mL).